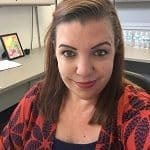 Amy McLaughry, a work-from-home mother, is now a virtual bookkeeper and the owner of ADEM Bookkeeping. If you have been wondering whether virtual bookkeeping is a realistic option for a stay-at-home mom, if it actually pays the bills or if Ben Robinson’s course actually delivers, then this two-part interview might answer those questions and more. 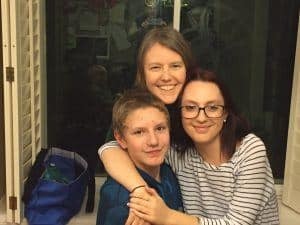 Part Two: We caught up with Amy in February 2019 – two years after her first interview – to find out how business is going, if she still utilizes the course, and her latest thoughts on bookkeeping as a career for stay-at-home moms! Exciting news! 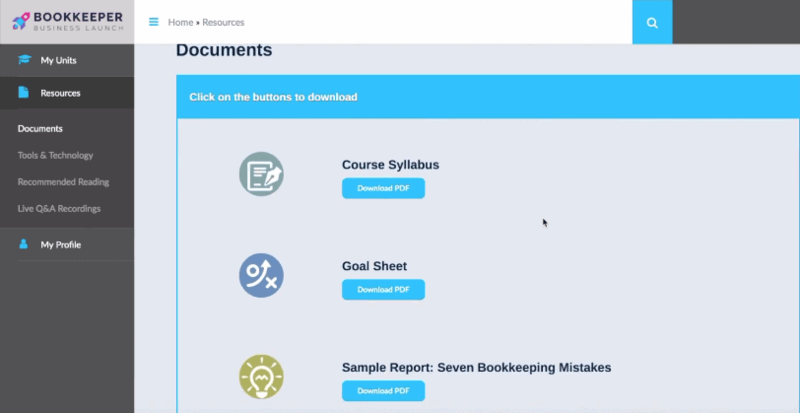 Ben has recently revamped the course and Bookkeeper Business Launch 3.0 has been released. 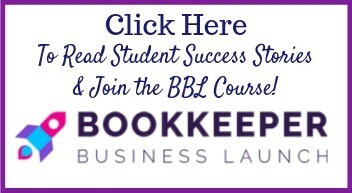 Be sure to check out the Updated Bookkeeper Business Launch Review after reading Amy’s interview! Would you mind telling us how you ended up as a virtual bookkeeper, Amy? I found Ben Robinson’s program while looking through Pinterest looking for some inspiration on what to make (I am crafty by nature). I saw an ad about being a bookkeeper and working from home, and it got me thinking about whether or not this was something that I could do and still stay home with my kids. I signed up for Ben’s free introductory three-course series, and I will admit that I was hesitant to believe that it was real. I ended up watching the three videos several times before I started to think that it was actually possible and maybe something I could do. I did a lot of research to determine if there was a way I could do it on my own and not have to pay the fee (frugal!). And after more research and learning about what it would take to do this on my own, I determined that the ability to help me learn how to market a business which I had never done, the course was going to be it’s worth in gold. And as they say, the rest is history. Is it a work-from-home career that that allows you to “work” without compromising taking care of your family? Yes, this is a great work-from-home career. I get to choose the hours I want to work, where I want to work, and how much I want to work. I can work while the kids are in school, and then be done for the day when they get home, I am always home for dinner and can make a good dinner for my family, and I can always put my kids to bed. And, since I am my own boss, I don’t have to report to anyone if I choose to take a morning off to go shopping or watch a movie with my husband. I do still have to get my work done, but I get to move my hours around to work for me and my family. Do you have a bookkeeping background? Do you feel you need it as a prerequisite to the course? My background is in finance – I spent 14 years at a financial institution and worked in all aspects of the bank, including my last 12 years as a loan officer/branch manager. I was familiar with the financial statements, how to read financial statements and understand tax returns and how the information from the financial flows to the tax return. So this part of the bookkeeping process was easy for me. I do not think that this is a prerequisite to take the course, but you may need to find additional sources of education to make yourself feel more knowledgeable in how it all comes together. How long was the course? Was it difficult to manage doing the course work along with balancing your ‘mom’ responsibilities? The course takes about 10 weeks. There are two areas of study – Business and Marketing, and Bookkeeping Knowledge. I did the training for both areas at the same time. Not everyone chooses to do it this way: some will do only the Knowledge and then all the Business and Marketing or vice versa. Since I found the Knowledge to come faster and easier to understand, I used that part of the training as my reward for working through the Business and Marketing which I had no prior experience in, and so I really had to learn and focus on that part of the course. Everything with children is a balancing act, and so, I would find time in the evenings, or when the littlest one was napping to listen to the courses and take notes. At times, I found it so interesting that I was more interested in doing the course work than being there for the kids. Don’t tell them that! As I mentioned before there are two areas of study – Knowledge, and Business and Marketing. The Knowledge training begins with the basics of bookkeeping, so for those that have no financial background, you get the basics up front – as these are the foundation of everything that we do. Then Ben walks you through the financial statements, what information is presented on each of them and where that information comes from when you are inputting the information into the accounting software and so on. The other part of the training focuses on Business and Marketing. The beginning of each session talks about Mindset and Motivation. Ben provides quotes and thoughts about ways to ensure that you keep your goal in mind and ways to stay positive to help you reach that goal. In the remaining portions of the training, Ben walks you through what you want to include on your website, how to write your Unique Selling Proposition (which will help you attract the type of clients you want), how to set up your LinkedIn profile with an industry expert to help with lead generation, the importance of finding the type of client you want and so much more. Are there many resources available for the students? There are: There is a Facebook group where we all share our questions, thoughts trials and tribulations in getting started and working with clients. We share with each other about what works for us and what doesn’t, and most importantly we are there to motivate and inspire each other. You can email Ben and his team at any time to help answer questions. There is also a weekly Question and Answer webinar where Ben and his team will take questions live or you can submit them prior to the call. They can go over your website for you, they will look at any direct mail piece you might want to send out, they will go over anything that is in the training that you might have questions about and anything else bookkeeping related. And, all those Q&A’s are available in your training portal for you to listen to at any time. You also have lifetime access to all of the training modules so, if and when Ben updates the training, you will have access to the new material at no additional cost. How is Ben as a teacher? Ben is a great teacher. As he mentions in his free three-course training, he has hired a lot of bookkeepers and had to train a lot of bookkeepers, and he knows what he is doing. He provides the material via video, and there may be examples to help explain what he is talking about, or demos in the software for you to follow along with or you can just watch him do it. There are handouts so you can print them off and follow along while taking notes if you want. He does a good job of providing a variety of learning techniques so you can find what works best for you. Did the support continue after the course finished or were you left on your own to go forward? You will always be a student of Bookkeeper Business Blueprint (renamed now as Bookkeeper Business Launch), so you can always take part in the Facebook group, you can always take part in the weekly Q&A’s, and you can always email Ben’s team for support. And you always have the friends you have made through the program to help and support you along the way. 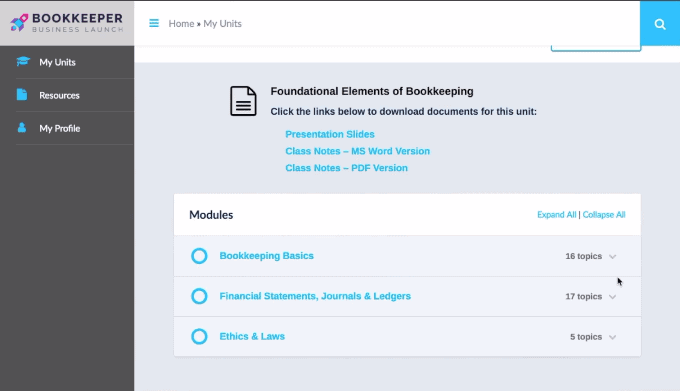 Does the course really help you build a business or just teach you the bookkeeping skills? The course is set up to help with building a business and teaching you the bookkeeping skills. The Marketing section of the training focuses on building your business – creating a website, advertising, talking with referrals, and most importantly attracting the clients you want. Was it hard to start getting clients? For some it is easy, and for others, we have to work a little harder. I was officially open for business in August and signed my first client right before Thanksgiving. Some students have gotten their first client lined up before finishing the course. It took longer than I wanted, but I think I found the perfect client for me. 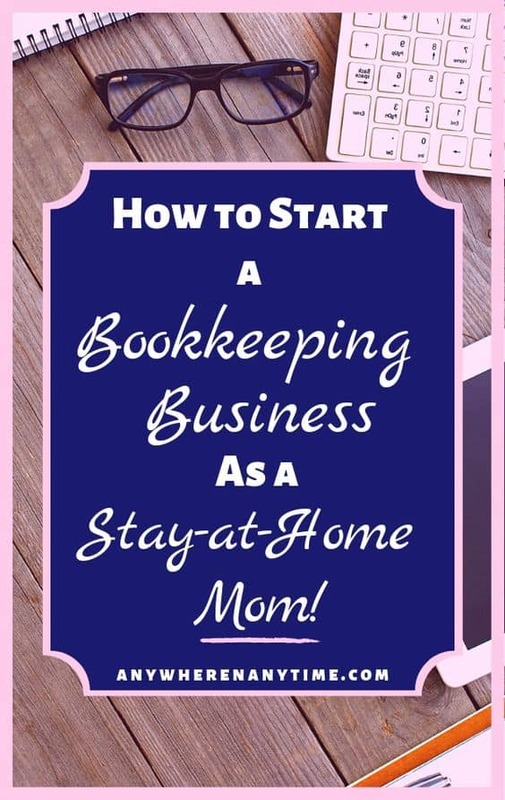 The most important thing to remember is that you have to tell people that you are going to be a bookkeeper and that you are looking for clients. No one opens a store down the street and succeeds without spreading the word and doing marketing. It takes a lot of work, and you have to be ready to put in the work. 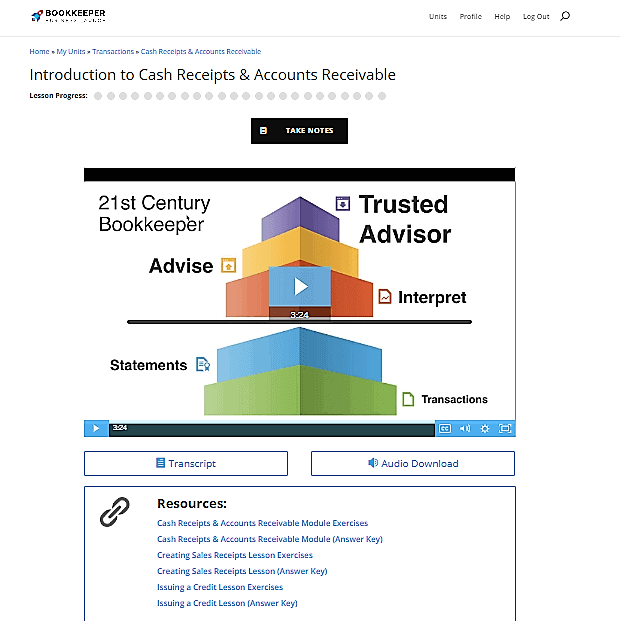 In Ben’s free introductory course, he states that he aims to train great bookkeepers – bookkeepers that not only report and interpret, but also guide the business owner on how to use the information to make their client’s business more successful, lean, and profitable. Do you feel that the training really enables you to do this? Ben’s training does help you become a great bookkeeper and not just a data entry person. Part of being a Great bookkeeper, is being able to share information with your client to help them learn more about their business and understand what is going on with their business. But, understanding and being able to dig into the statements and provide insight to your clients is only part of what can make you a Great bookkeeper. The other part is understanding your niche and learning about their job, their pains and what they would gain by having a great bookkeeper. If you can help determine how to make their job easier, you can find new ways to be a great bookkeeper. What would you have liked to change in the course? Were there things that this course either did not cover or address, or did not go into as far as you would have liked? I would like to see more practice exercises within the software so that I could have practiced more of what I learned. I am a ‘doing’ learner, so doing things is how I learn best and then I retain the information better as well. Overall, I was very happy with the training and found it complete. I hear that there are updates coming to the training, so sign up now to take advantage of the lifetime access and the new stuff coming out soon. On the other hand, what was your favorite part of the course? My favorite part of the course was listening to Ben and his sense of humor. He is personable and easy to listen to. When you start listening to his training and listening to him on some of the Q&A’s, you find yourself always looking for some free time to work on your training. It was a lot of information, and sometimes I felt like I was drinking from a fire hose, but like starting any new job, whether on your own or with a company, you can often feel overwhelmed with information. I am an avid learner, so learning the different sections was a lot of fun. What was your aim in taking the course? Have you achieved that? My goal when I started the class was to make enough money to help pay the bills, not have to return to the corporate world and be present for my kids. I have achieved all these goals since completing the course in July 2016. I have 4 clients and I love what I do, I love helping them with their financials, I love helping them find ways to save money, and I love being my own boss. How did you know that you had the characteristics you needed to make it work? During Ben’s initial three free video series, he mentions 7 characteristics that are needed for the making of a great bookkeeper: positive outlook, difference maker, hardworking, organized, able to manage multiple projects, detail oriented and personable and caring. Each one of these characteristics speaks to who I am as a person and what I wanted to be for my clients moving forward. If you don’t think you have all of these, then this is not the right job for you. Would you recommend the course to other stay-at-home moms or dads? I would recommend that people check out his free three-video series to see if it makes sense and rings true to who they are and who they want to be. It is not easy, but I can attest to the fact, that this is the real deal. This is not one of those fly-by-night programs that takes your money and disappears. Yes, you can do a lot of this on your own, but that is just the point – you are on your own. Ben has built a community of bookkeepers that are around to help, support, and inspire you along the way, through thick and thin, in good times and bad. 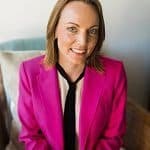 We were curious to know how Amy was fairing after two years in the home bookkeeping biz, and she was kind enough to give us an update on what she’s been up to and how things are going in the BBL community! We are so happy that you are ready to let us catch up with you, Amy! It’s hard to believe that it has been nearly 2 years! It is hard to believe that the time has passed so quickly. I am having the time of my life and truly love to work every day. This is the best job I have had yet, and love telling people how much fun I am having daily, doing what I am doing and helping my clients grow their businesses and helping them grow personally as well. Running businesses is not an easy task and helping them with their financials has been one of the most rewarding aspects of what I do. Has your business grown as much as you’d planned and without encroaching on your aim to be at home for your kids? My business has grown, maybe not as much as I would like. But I remind myself that the growth that I have had is amazing and I wouldn’t trade it for the world. Sometimes this growth has caused me to work longer hours – sometimes on the weekends, and sometimes late at night in order to get the work done. I don’t regret any of this as it has made me realize what I can do on my own and what I really need help with. It has also forced me to figure out what parts of my business I want to work on and the parts that I can hire someone to do for me. My family has truly enjoyed the freedom that the job has provided. There are times when I am picking up kids and taking them here and there during normal business hours, that I am reminded about how lucky I am to have the ability now to take them where they need to go, participate in their events, and not feel guilty for not working, or explaining to my boss why I need to leave early again, or take paid time off to be able to be at their events. And my husband enjoys that fact that I am happier, more relaxed, and able to really be at home without always thinking about what I should be doing at the office. The Purpose of Financial Statements lesson. Have you stayed in touch with Ben’s BBL community? I am still very active in the BBL Community. I work behind the scene answering other student questions, through the student support email. And I co-host the weekly Q&A’s twice a month. The ability to do this has allowed me to not only grow in my knowledge of bookkeeping – as sometimes telling others how to resolve their issues, is a great way to figure out what you really know, but it has allowed me to give back to the community that supported me in my growth. The students are amazing, and it is so much fun to watch their progress through the program (which we celebrate in the FB Group) and to watch them get their first client, and help them through the issues that arise from those first couple of clients when you are still learning and applying all your knowledge. Do you still access the course for any reason? I do still access the course. Sometimes to answer other students’ questions, but also to learn new things. 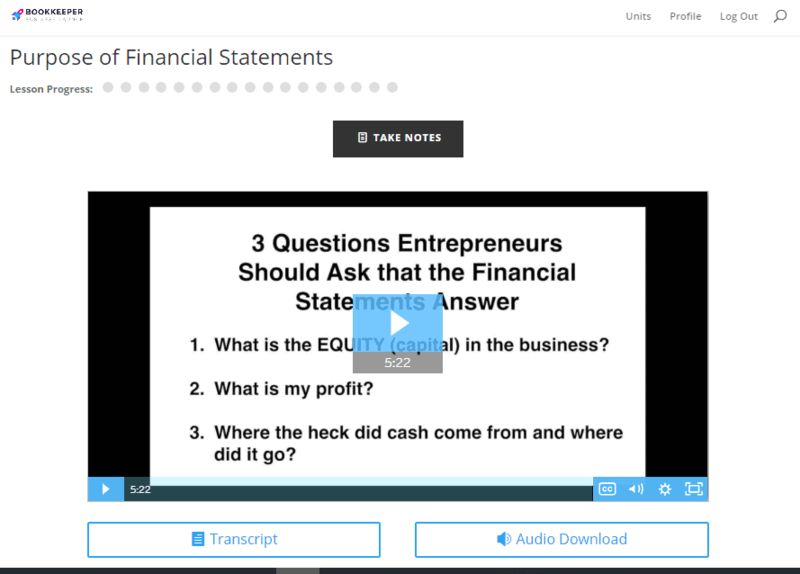 The program was updated within the last six months or so, and it has been fun to go in and watch the video’s on parts of bookkeeping that I rarely deal with, or when I run into a new problem that I don’t know how to solve. The training is the first place I go to get the answers I need. Do you feel that Ben’s updates to the course are significant? You would think that after three-plus years, he would have the course where he wants it, yet he continues to find new ways to teach and find new topics that need to be covered in the training. And the best part is that some of the new ideas to add to the training come from the students who are asking for help in either the Facebook Group or through the student support email. He has also recently added practice problems (think of all the homework problems you used to have to do in school), “quizzes” at the end of each section to help the students test their knowledge along the way, and there is also a knowledge test and a practical exam which once completed, provides the students with a Certificate of Completion. The Practical Exam is a culmination of everything that you are taught in the training and allows the students to put it all into practice and prove that they know what they are doing. Video lessons and links to resources. What aspects of the latest version of the course strike you as the most useful? The practice problems, quizzes, and the final test are so amazing in this most recent update. All three of these aspects allow the students to apply what they have learned, test their knowledge of the basics of bookkeeping, and then work on a “real client” to help build up your confidence level for the first client. The practical exam is not easy, and although it is “open book”, you can’t discuss with the other students, so it gives you a great sense of accomplishment when you earn the badge! Would you still recommend this as a good option for moms or dads who want to work from home? I would still recommend this course to anyone who is looking for a way to add freedom to their lives. There is talk about AI taking over the bookkeeping profession, and in a way, it already has, which will make some people who do bookkeeping no longer have a job in the near future. This course is so much more than just bookkeeping – it teaches you how to add value to your interactions with all your clients and provide value to their business as part of your services which will never be replaced with AI. We are here to stay and if you do it right, you will have clients for many years to come. If you would like to know more about the course itself, you can read a detailed Bookkeeper Business Launch review here. Do you have any experience with bookkeeping? Do you like the idea of being able to learn skills that could land you with a job or enable you to build your own business? Do you think it is something you would like to try out? Do you have any questions or experiences to share? Pinterest VA Group Interview (Part II): How is Pinterest Management Different from Being a VA? Pinterest VA Group Interview (Part I): What Does a Pinterest VA Do?